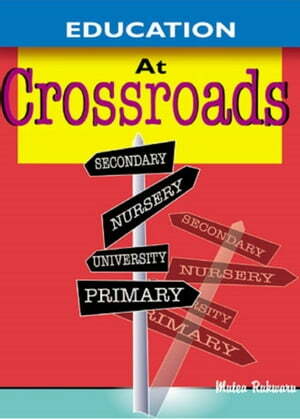 Collins Booksellers - Education at Crossroads by Mutea Rukwaru, 9781370751471. Buy this book online. The book Education at Crossroads is a broader and an updated version of the author’s dissertation entitled Relative Distribution of Socio-Economic Resources and the Performance of Certificate of Primary Education (C.P.E. ), A Case Study of Gaitu sub-location in Meru District, submitted to the University of Nairobi as a partial fulfillment of his B. A. (Sociology) Degree. Education at Crossroads examines the challenges affecting performance in C.P.E. examination including the challenges facing the household in its endeavour to access this scarce resource. The book also discusses the role of material conditions of both the school and the household, income, "social class", education of parents, the role of headmasters and trained teachers, family size and the role of religion in C.P.E. performance. Education at Crossroads has also come up with the theoretical explanations as to why some education players and stakeholders in education sector involve themselves with malpractices in regard to examinations. The author finally looks at the importance of holistic approach to issues, then policy implication and then gives recommendations based on the research findings. The book can predict with some accuracy how the education scenario will be beyond the 21st Century.